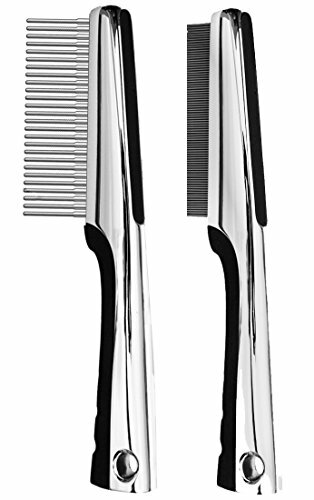 The Resco premium rotating pin and flea comb set comes with 2 necessary tools to add to your collection. Your pet deserves the best in health and beauty and this is a set of the most premium tools on the market. Invest wisely and choose the products that will make grooming your pet easier and more importantly, fun!. If you have any questions about this product by Resco, contact us by completing and submitting the form below. If you are looking for a specif part number, please include it with your message.